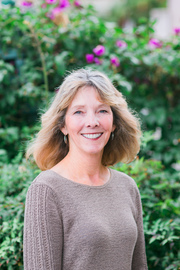 Kim Wurster has been a long time resident of San Luis Obispo. She moved here from Southern California in January of 1979 to attend Cal Poly. In 1981 she graduated from Cal Poly with a degree in Journalism and a concentration in Public Relations. That summer she married Rob, a Cal Poly Architecture graduate, now her husband of 28 years. Realizing that there is no better place to raise a family, Rob and Kim decided to leave the big city behind and raise their children in beautiful SLO town. Kim’s daughter, Kristin graduated from Cal Poly in 2005 and continues to work and reside in the area. Her son, Kurtis attended Cal Poly and graduated in June of 2010. Kim’s hobbies include riding her Cutting and Reining Horse, playing Tennis and serving at Church. Having been a REALTOR® since 1989, Kim has a broad knowledge of the past and present market. She is well equipped to handle the ups and downs of today’s challenging market. She is committed to serve her clients in every attention to detail to assure a successful transaction. Kim has the highest quality of standards and ethics and will continue to treat her clients with the utmost care. She will continue to strive for excellence, whether you are buying or selling.